The Crisbecq’s battery was manned by over 300 sailors, under the command of Navy Oberleutnant Walter OHMSEN. Ohmsen had taken command of the Crisbecq Battery 49°28.8′N 01°17.8′W, also known as Marine Küsten Batterie “Marcouf” (Naval Coastal Battery Marcouf) or Seeziel Batterie “Marcouf” (Sea Target Battery Marcouf), on 1 February 1944. 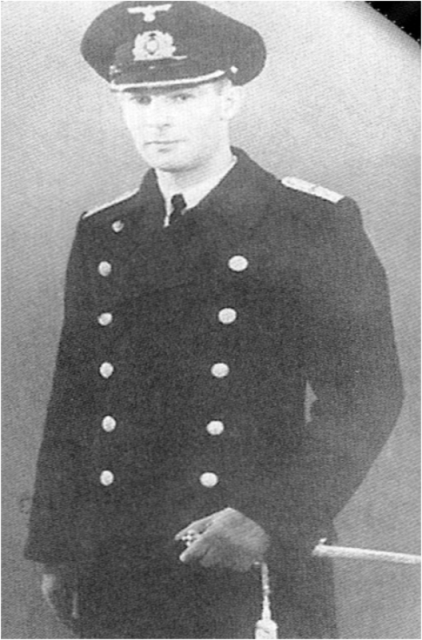 His command, including himself, consisted of three officers, 24 non-commissioned officers and 287 men of the Kriegsmarine. The unit was subordinated to the Marine-Artillerie-Abteilung 260 (M.A.A. 260—260th Naval Coastal Artillery Battalion). The battery’s personnel was further augmented by members of the 6./Grenadier-Regiment 919 (6th Company, 919th Grenadier Regiment) of the 709. Infanterie-Division (709th Infantry Division) for ground defense under the command of Leutnant Geissler, which brought the overall manpower of the battery close to 400 men.